The Bahamas – an absolutely breathtaking paradise – where every view creates an opportunity for a new art canvas. Scattered across a 100,000 square miles large archipelago in the southwest Atlantic Ocean, the Bahamas is a true sailor's heaven where Christopher Columbus made his first landfall on October 12, 1492. He named it “maja bar” meaning "The Bahamas, the Islands of the Shallow Sea." Perhaps there is no better way to explore the beauty and wonders of 700 islands and nearly 2500 small islets or cays of this fairyland than chartering a luxury private yacht. At Yachts Bahamas Charters, we invite you to cruise with us on the beautiful Bahamas waters. We offer a variety of luxury private yachts, sailing yachts, motor yachts, mega yachts, fishing boats and bareboats to the world's perfect vacation escape. Join us for fun adventures and spectacular views on a yacht of your dreams to experience year-round balmy climate, see white sand beaches, explore secluded hideaways and enjoy unlimited watersports activities. Our team at Yachts Bahamas Charters enables you to live your dream yachting vacation. We appreciate and value you the customer, and love to find the best yachts specifically customized to suit your specific needs. With decades of yachting experience, our customer service is the number one reason for being in the yacht charter business. We are mariners at heart and it shows. Being the leading yacht rental company in the Bahamas, we pride ourselves on our core value - delivering nothing less than the best experiences. Since there are 700 islands in The Bahamas that appeal to ocean goers for a variety of reasons, we have yacht charters that vary in size, style and capacity to help you create your own amazing Bahamas cruise vacation. 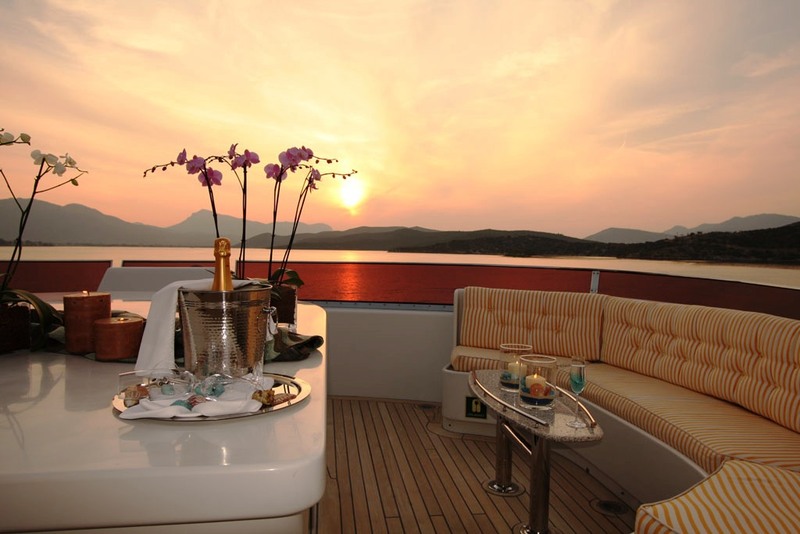 Every yacht charter is impeccably designed with creating the most perfect experience possible by delivering 5-Star service, spacious living areas for ultimate dining experience, comfortable & glamorous interiors and operated by a seasoned and professional crew so that you & your loved ones can just relax, unwind and soak up the rich picturesque scene on board. Whether you're planning a special wedding proposal, looking to celebrate special nights, birthdays, corporate events & graduation parties, or just want to swim or snorkel in the blue waters, we have the resources to make your occasion exactly the way you envision it. From travel itineraries, decorations to entertainment, we take pride in surpassing your expectations and offering you a fantasy getaway like no other in the Bahamas islands. Cruising aboard a fully staffed luxury yacht charter in the Bahamas is the perfect way to create memories that will last a lifetime. Each yacht charter is as unique as you & your specific needs. Submit an online charter request on our Contacts Page, or call the number at the top of the page to speak directly with our charter consultant. We look forward to assisting you in the planning of your dream cruise with recommendations to your itinerary, must see and do opportunities and the most fulfilling experience of your life.